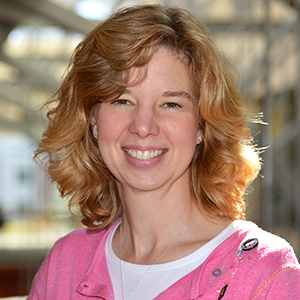 Rebecca D. Eckert, Ph.D., is an associate clinical professor in the Neag School of Education at the University of Connecticut where she works with pre-service teachers as they navigate the joys and challenges of their first classroom experiences. As a Professional Development Center Coordinator for two partner school districts, Becky is fortunate to maintain a “foot in both worlds” of academia and public education. In her former role as the Gifted Resource Specialist for the National Association for Gifted Children, Rebecca co-edited the book Designing Services and Programs for High-Ability Learners with Jeanne Purcell. Her previous work at The National Research Center on the Gifted and Talented included participation with the research team that developed and implemented the Schoolwide Enrichment Reading Model (SEM-R). Her research interests include talented readers, recruitment and preparation of new teachers, arts in the schools, and public policy and gifted education. She is a former middle school teacher with experience in geography, history, and theatre arts.